It’s no surprise that Cannabidiol (CBD) is showing up everywhere. Our CBD patrons at Beauty Ecology are returning with heart warming feedback on how it’s helped them in a variety of ways. Proof from scientific studies validate the relief of symptoms from depression, fibromyalgia, rheumatoid arthritis, Crohn’s Disease, and so much more. The question eventually arises, how does it work? How are all of these people all of the sudden getting better? We’re now discovering solutions to ancient old problems and the inner workings of the endocannabinoid system. The endocannabinoid system works by utilizing certain receptors that are found all over the body. These receptors are called CB1 and CB2. Each of them has their own role to play in the endocannabinoid system, and each receptor is vital to homeostasis. The old stigma in the way of how to consume cannabis is to simply smoke it. Cannabis can bless the mind and body in a variety of ways, such as; tinctures, oils, capsules, edibles, infused beverages, suppositories, lotions, and balms. To make sure you know the difference of how cannabis interacts with the endocannabinoid and endocrine system, today I’m giving you insights about using cannabis topically on the skin. Here’s the bank of answers I pulled from what is commonly questioned! Q. Do THC and CBD get absorbed into the skin? A. YES. Both THC and CBD are lipophilic, or fat-loving, with molecular weights below 400. That means these cannabinoids are absorbable through skin. The skin’s cannabinoids affect all compartments of the skin by acting on various cell types and contribute to the skin’s healthy physiological function. In depth, when activation of cannabinoid receptors (CB1 or CB2) are engaged, these functions of epidermal cells are modified – whether through proliferation, differentiation or apoptosis (cell death) – which are all important processes for the healthy physical defense of the body. CB2 receptors are very active in the skin. Symptoms of a malfunctioning endocannabinoid system can result in dermal issues like eczema and psoriasis. How’s it heal? CB2 helps replenish old skin cells, it heals damaged ones, and throws out the dead ones. It also reduced inflammation, which is a prominent symptom of skin disease. CB2 receptors are underneath the epidermis, so by applying topical CBD, the pain receptors are dulled, which can help with painful conditions. Q: When absorbed into the skin, does it translate into the bloodstream? A: YES, however the amount absorbed depends on several factors, such as the type of topical ( cream or balm), combined ingredients in the topical, dermal thickness, and where it’s applied. It’s important to seek out products that are free from synthetics and a lot of “fillers” that simply drives down price - and its benefits. Q: Can you get high from a topical containing THC, the psychoactive cannabinoid in cannabis? A: Possibly, but doubtful. You’d have to be swimming in it to feel the psychotropic effects of THC. Q: What’s the difference between topicals and patches? A: The primary difference between topicals and patches is that topicals provide immediate release of the cannabinoid, while patches are designed for slow release over a period of time. Patches are often used when individuals require continual delivery of the product, such as with chronic pain. An extra source of vitamins — We all know it’s hard to consume foods rich in all the nutrients our bodies need to be healthy. By adding CBD infused products to your skincare regime, you have one less thing to worry about knowing that your skin is getting all the Vitamin E and C it needs to protect it from any sun damage and make sure it stays firm and tight for longer. It also has Vitamin A and D, which thanks to their regenerative qualities can undo years of dry and flaky skin. No more breakouts — Regularly applying hemp CBD oil to your skin provides it with healthy fatty acids, which are often found to be lacking in people with acne. Plus, it has antibacterial properties which treat infection (a major contributor to acne). But that’s not all! Fatty acids also protect and strengthen your skin’s outer layer resulting in fresher younger looking skin. Fool your skin about your age — What if you could trick your cells into thinking they were 10 years younger? According to a study published in the Journal of Investigative Dermatology cannabinoid receptors in the brain, that form part of the endocannabinoid system, which interact with CBD to increase our body’s natural ability to grow new skin cells. What does this all mean? CBD boosts your body’s regenerative process and actually encourages younger skin. Stop itching — CBD has been linked to help with conditions as severe as eczema. Instead of using cortisone for your next rash, consider the natural alternative of CBD which can battle dermatitis while hydrating your skin and eliminating dryness… Anyone who has experienced a New England winter knows how persistent and itchy dry skin can be! Moisture — hydration, hydration, hydration: the dermatologist’s mantra. Thanks to omega 3 and 6 fatty acids, cannabinoid oil is nature’s most effective moisturizer. Want to FULLY EXPERIENCE HOW IT WORKS? Want to try it for yourself? Give your skin a boost with a shot of our Organic Cannabidiol topical skin remedy. Evoq CBD + GLA Skin Oil. IS IT ALL YOU NEED? If you desire healthy, youthful skin, there are vital nutrients needed to promote cellular renewal and collagen synthesis. For the most part, our diets not provide you with all of the nutrients you need to achieve the desired results. When used at the right percentage and each ingredient synergistically empowers the other, nature can give us an abundant source of life and skin action. he ocean is the absolute apex of mineral water, and its molecular makeup is nearly identical to our own cellular makeup - making it biomimetic and instantly usable. Naturally, we can tap into that power of oceanic building blocks to restore the missing nutrients needed. At Evoq, each product taps into the depths of the sea with natural, organic and wild-crafted extracts that provide instant replenishment. 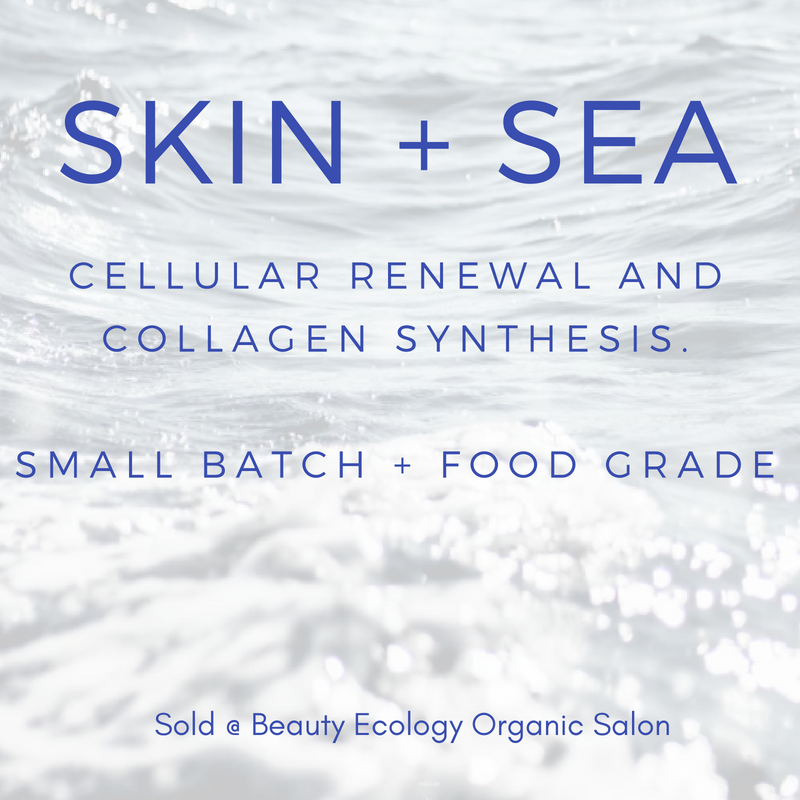 When used daily, over time your skin will be restored back to its youthful glow by utilizing seaweed - the perfect food for your skin! 10 therapeutic properties of sea algae great for your health — both on the inside and the outside. Brimming full of sea nutrients. - One of the biggest threats to your skin’s health is the sun. - Overexposure to the sun changes your skin’s DNA. - Marine plankton repairs sun-damaged DNA with enzymes..
- Works as quickly as two hours when applied as a topical cream. - Recent studies show plankton may even prevent skin cancer. - Many types of seaweed contain L-Fucose. - This sugar molecule strengthens skin’s collagen and elastin..
- Reduces signs of aging and firms and plumps your skin. - Topical seaweed treatments that contain L-Fucose thickens your dermis. - A thicker dermis means less visible wrinkles and an uplifting effect for younger-looking skin. - Seawater contains all of the known elements of life. - Seaweed get their nutrients from seawater. - Seaweed becomes a rich storehouse of life-giving elements. - Utilize marine plants to deliver all of the sea’s nutrients right to your skin. - Seaweed supports and speeds up cellular regeneration. - Seaweed baths infuse your skin with magnesium, potassium, iodine, copper, and zinc, which promote the creation of collagen. - Marine polysaccharides found in seaweed are natural moisturizers. - Seaweed locks in moisture, reduces inflammation, and smooths and firms. - These peptides stimulate collagen production and firm your skin. - Many factors trigger an inflammatory response in our skin. - Prolonged inflammation speeds up the aging process. - Two of the most powerful anti-inflammatory agents are plentiful in seaweed. - Applied topically, they can help treat rosacea, eczema, and dermatitis. - Free radical exposure attacks your skin and impacts your overall health. - Seaweed is the richest source of antioxidants and carotenoids. - Creates a protective shield against free radicals to prevent aging and protect your health. - Giant kelp helps you slim down thanks to iodine and carotenoids. - Seaweed supplements boost metabolism. - Stubborn and unwanted fat is burned. - Seaweed wraps and baths reduce cellulite and defines your legs. - Seaweed is chock full of calcium and magnesium. - These two minerals help your body get rid of toxins. - Seaweed wraps stimulate return circulation to flush out toxins. - Improves water retention, cellulite, and other degenerative age-related conditions. - Iodine in seaweed helps your reproductive organs balance estrogen levels. - Estrogen imbalances cause many health-related issues for women. - Breast cancer, advanced aging, weight gain, and reproductive issues. - Topical treatments along with a seaweed supplement help balance estrogen. Utilizing seaweed is like tapping into the very source of life itself. Seaweed gives us a host of gifts that restore and replenish our bodies inside and out. At Evoq, we’ve taken advantage of these amazing properties to give you products that are natural and truly medicinal.